If you are past due on your mortgage payments and you want to avoid a foreclosure action, you may want to consider filing a Chapter 7 or Chapter 13 bankruptcy. Another option to consider is a short sale. Either choice has its advantages, but deciding which is more beneficial for you depends on your unique situation. If you are not in a time-crunch, the short sale may be a viable option for you. The short sale process can be lengthy because it involves several parties in a variety of negotiations. At the end of the short sale process, there is no guarantee that the sale will successfully close. A personal bankruptcy provides you instant financial relief. The automatic stay stops all collection activity against you while your case is pending. A Chapter 7 filing typically lasts three to five months, while a Chapter 13 lasts three to five years. In a Chapter 13, a homeowner can cure delinquent mortgage payments. In both types of filings, when you complete your case you will receive a discharge of debt that eliminates a large majority (if not all) of your debt. Will your lender pursue a deficiency balance? 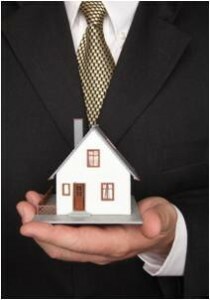 If your short sale is successful, you will still be left with a deficiency balance. The home was sold for less than what you owe on your mortgage, which leaves your lender “short.” Depending on where you live, this can leave you in a financial bind. Most states do not require a lender to waive the deficiency in a short sale, but there are a few states that require the lender to accept the short sale as payment in full. It is important to confer with a seasoned attorney to discuss this issue in your state. When you file a bankruptcy case, a debtor can usually discharge all of the deficiency balance left on the mortgage loan. This can save you thousands of dollars! Is mortgage debt your only debt? A short sale only deals with your mortgage-related debt. Thus, if you are overwhelmed with credit card or medical debt, a short sale will not provide you relief from these creditors. In a bankruptcy, you deal with all of your debt. Bankruptcy is one of the most comprehensive means for dealing with all of your creditors at once. If you are behind on your mortgage payments or your lender is threatening foreclosure, contact us to discuss all of your debt relief options. This entry was posted in Bankruptcy, Chapter 13, Chapter 7, Foreclosure and tagged bankruptcy, Chapter 13, Chapter 7, foreclosure, mortgage, short sale on January 5, 2015 by Michael Faro.